The college’s dynamic, diverse, and popular student clubs ensure you’ll feel connected to your peers—not in competition with them. The college actively supports and encourages student participation in clubs as a vital component of the college experience. Not only do clubs give students an opportunity to interact and learn from peers, but they also provide the opportunity to bring together and apply lessons learned from various courses in a hands-on setting. Club activities include everything from organizing events, seminars, fundraising for local nonprofits, guest speakers, field trips, site visits and career development workshops to networking and managing real stock portfolios. Below you will find info about and contact info for all of our undergraduate student clubs. For current policies governing Lundquist College clubs, please consult the Council for Interclub Coordination's OrgSync page. Lundquist College majors and minors with financial need and in good academic standing may apply for a scholarship to cover the cost of annual dues for their membership in one Lundquist-affiliated club. The application is open weeks 1-5 of fall, winter, and spring terms. AKPsi is among the twenty largest national college fraternities with over 140,000 members nationally and 50 active UO members. It is a complete, well-integrated, national business fraternity for men and women standing for the highest ideals of conduct and achievement in university and professional life. AKPsi strives to bridge the gap between the traditional classroom experience and the business world with business field trips, seminars, career activities, and other professional events. Alpha Kappa Psi’s mission is to develop well-trained, ethical, skilled, resourceful and experienced business leaders. Meetings are restricted to AKPsi members only. The UO AMA is a student run marketing club where aspiring professionals join a community of peers to explore the marketing field, gain real-world experience and connect with professionals. AMA is open to all majors and backgrounds. We engage in on-campus marketing efforts, regularly host guest speakers and attend site visits. Recent site visits include companies in Eugene, Portland, and San Francisco. The UO AMA is nationally affiliated with the American Marketing Association, one of the largest professional associations for marketers, which has 38,000 members worldwide. Beta Alpha Psi, a national organization of accounting students, recognizes academic excellence and complements members’ formal education by providing interaction between students, faculty, and professionals and by fostering lifelong growth, service and ethical conduct. The Business Operations and Technology Association (BOTA) is a student-run organization that belongs to the Operations and Business Analytics Department. BOTA is dedicated to acquainting business and non-business students with the ideas, challenges, and issues on topics related to the Operations and Business Analytics (OBA) concentration. Members who attend the meetings will be exposed to leadership and communication workshops, career development workshops, networking opportunities, collaborative group activities, site visits, and special events. We encourage and welcome all undergraduate students regardless of major or class year to come and learn more about the opportunities BOTA offers. The Financial Management Association (FMA) is a national organization that is focused on bridging the gap between the classroom and the real world. Meetings are held every other week and will differ depending on the current opportunities available. Meetings will generally consist of guest speakers, updates on the new actively managed hedge fund, and workshops on how to network and start careers in the financial services industry. We encourage you to come learn more about the opportunities this club has to offer. This is the most fun you will ever have learning about innovation and startup culture! The Innovation and Entrepreneurship Club welcomes all majors and students. Members can expect brainstorming sessions, interactive workshops, site visits to startup companies and investment conferences to network with peers, and guest speakers. Our mission is to strengthen your knowledge, capabilities, and professional skills so you can develop your ideas, products, and businesses. The Innovation and Entrepreneurship Club is affiliated with the Undergraduate Entrepreneurship Program and the Lundquist Center for Entrepreneurship. The IBA International Commercial Group was established in fall 2013 at the University of Oregon. It is a non-profit and non-political independent student organization. IBA is devoted to offering better services by helping students solve academic problems and living problems. IBA also contributes to interactive culture communication across the ocean. As a commercial group, IBA aims to providing students with more opportunities in business experience, and holds business competitions every term. IBEC focuses on all topics related to international business and economics. In addition to working in project groups formed by students according to their interests, members also hear speakers who are experts in global business, go on site-visits, join international study programs, obtain global internships, participate in social entrepreneurship projects within developing countries, and gain intercultural insight and friendships. By joining IBEC, students turn their international interests into realities. The Music Industry Collective is a cross-disciplinary group for students to connect with each other, professionals, and industry opportunities. The group will provide the skills, knowledge, and the experiential learning necessary for a career in the music industry. The Net Impact Undergraduate Chapter at the University of Oregon is an international student-run nonprofit organization located within the Lundquist College of Business. We combine aspects of student culture, work, and having a positive net impact. We do this through implementing sustainable business practices in hands-on projects, speaker series, site visits, networking trips, and collaborations with organizations both locally and worldwide. Net Impact is open to all UO undergraduate students, regardless of major or class year. No membership dues. The UO Sales Club equips students with the sales skills, knowledge, and resources necessary to succeed in the professional world. Dedicated members who attend meetings and are active in club activities will begin their job or internship in sales feeling more comfortable and educated on what it takes to succeed. In addition, club members will receive weekly emails informing them of internship and job opportunities. Club members will also have a brief period during each meeting during which they will be able to expand their network by connecting with a guest speaker one-on-one. 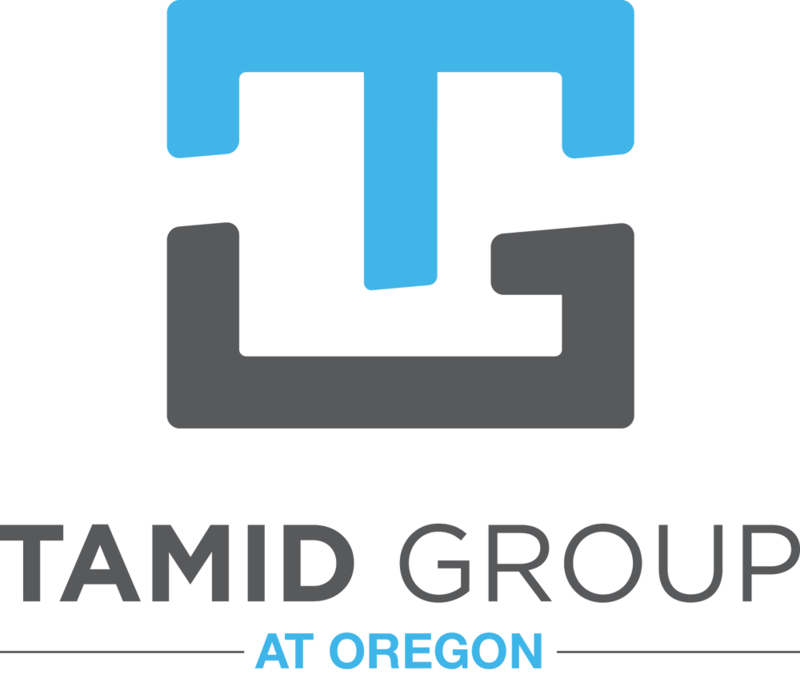 TAMID Group is a student-run organization dedicated to providing consulting, investing, and entrepreneurial experiences through hands-on educational programming with the Israeli economy. We are a non-profit organization that is not religiously or politically affiliated. The Women in Business Club is designed to support and encourage women with an interest in business. The group provides opportunities to network with women in the business community, build long-lasting relationships with other undergraduates, and attend informative and valuable career related events. The Lundquist College of Business's Women in Business Club is open to any and all students, regardless of major or gender, who have a genuine desire to succeed in business. The Warsaw Sports Business Club (WSBC) provides a platform for students to gain insight, experiences, and opportunities in the field of sports business through guest speakers, experiential learning, club meetings, leadership, networking, field trips, and special events. WSBC is open to all UO undergraduate students regardless of major or class year. Meetings are open to all students. $75 annual dues for placement on mailing list and eligibility to attend social functions and field trips. The University of Oregon Investment Group (UOIG) is dedicated to enhancing our members’ education through in-depth equity research, valuation, portfolio management, and market analysis. The UOIG recruits twice a year, once in the beginning of fall term and once at the end of winter term. Beta Gamma Sigma is an honor society for accredited business schools. The mission of Beta Gamma Sigma is to encourage and honor academic achievement and personal excellence in the study and practice of business. Members are invited to join in the fall, winter and spring, based on their class standing by GPA. Looking to develop speaking and leadership skills? Ace a job interview? Ignite your career? Toastmasters International is a world leader in communication and leadership development. Our membership is 292,000 strong internationally with over 14,350 clubs in 122 countries. University of Oregon Toastmasters offers a structured yet informal environment for our members to practice public speaking. We work to balance our campus culture feel with a friendly and open setting in which all community members can participate. Each meeting incorporates a mix of prepared speeches, impromptu topics, and constructive evaluation. We welcome you to attend one of our meetings to experience the club for yourself.